So the turkey and cranberry sauce of Thanksgiving are in the past and you’ve sworn off pumpkin pie for the rest of the year. Your oven may not see another heavy-duty foil roasting pan until next November, but that doesn’t mean turkey can’t be a delicious, easy part of your weekday dining. 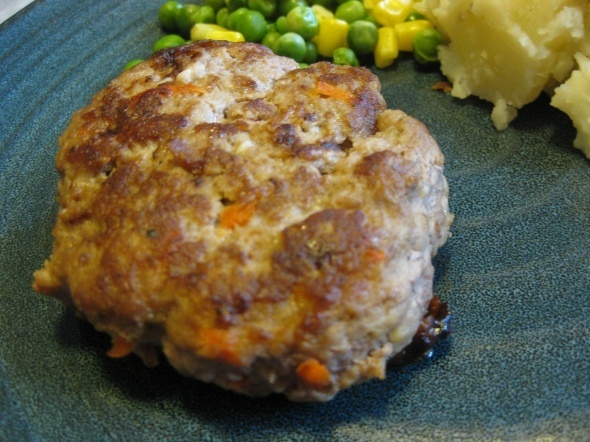 Turkey burgers are quick and simple to make…but if you’re not careful, they can taste like burnt cardboard. Turkey doesn’t have a lot of fat, so it can burn easily and dry out. But add a little moisture and starch to the meat, cook it gently and you’ll end up with juicy turkey burgers that have plenty of flavor. Give one or both of these tasty versions a try…because dinner, unlike Thanksgiving, comes more than once a year. In mixing bowl combine breadcrumbs, garlic and tomato juice. Let stand two minutes. Add remaining ingredients and mix lightly to combine. Form mixture into four burgers, each an inch thick. For stovetop cooking: Heat 2 teaspoons olive oil in a nonstick frying pan over medium-high heat. Add the burgers; cover and immediately reduce heat to medium. Let cook four minutes, adjusting heat as needed so that burgers cook gently without burning. Flip, cover and continue cooking another four minutes. Check the internal temperature; continue cooking burgers over no more than medium heat until done. Broiler or grill: Preheat to medium-high. Brush cooking surface with olive oil. Add burgers; lower heat to medium and cook, turning once or twice, until done (8-10 minutes). Make as above, but substitute 2 tablespoons grated carrot for the Parmesan, and 1 tablespoon ketchup for the tomato juice. Are you a cheap and lazy cook (like me)? Got a little leftover salsa, spaghetti sauce (or even ranch dressing)? These can stand in for the tomato juice or ketchup. No breadcrumbs? Substitute crushed crackers. Try feta in place of the Parmesan, or a little leftover cooked spinach or kale in place of the carrot. Take on turkey on your terms! Yes, turkey burgers should be cooked over medium heat. So why do I suggest heating the pan or grill to medium-high? When four relatively cool turkey burgers hit the pan, the temp is going to drop pretty fast. Starting at a slightly hotter temp and then immediately dropping the heat to medium helps prevent things cooling down too much.